I caught up with those unforgettable space pirates Supernova who gifted the universe with one of the greatest songs …CHEWBACCA! !, which also featured on the soundtrack of the cult classic film Clerks. 1) Chewbacca! This song is like a Star Wars fan theme song, other than the John William’s score, how did it come about?? 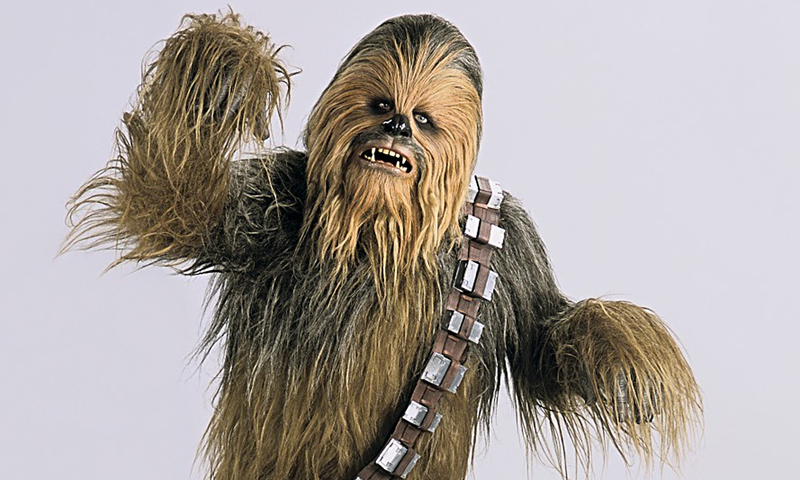 We can’t recall all the details, we just thought Chewy was so cool for wearing a bullet belt and no clothes. We used to joke that he didn’t really have a uniform, he just woke up and put on his bullet belt and was ready to fight! We thought that was rad! One day in the band room between songs…we just started talking about how rad Chewy was and then we started noodling around and messing with a riff and jungle beat and because we had good chemistry it just started to click….and the rest is history. 2) Are the band Star Wars Fans?? Well the first Star Wars movie will live forever as monumental & the whole Star Wars thing really fit well with what we were doing as a band that has a space team & our mythical legend of being refugees from a planet that went supernova… We have honored Star Wars with references in different songs, for example our indie release of “Our Way” and with posters and Star Wars memorabilia that we put up on stage when we play live. For many years when we were touring, fans often presented us with Star Wars Happy Meal toys (e.g. Princess Leia, Chewy or R2) has a homage. Without Star Wars who ever knows if we would have ever even made the voyage. 3) Why did you choose Chewbacca to sing about is he a favourite character of the band?? We gravitated towards Chewy because he is rad and he really gets it. Back then in early 1989-1990 Star Wars wasn’t in its Renaissance, we were really into it and promoting it and Chewy with his bullet belt in rad fur was the coolest — so singing homage to Chewy just seemed right. When we play Chewy live we typically plan an extended dance mix with some speed up parts or extended guitar parts or guest wookies from the crowd to help. Jo Nova our guitar player has perfected playing Chewy’s verse parts with the back of his right arm so that he can give “Hi-5s” to the crowd. 4) The song was first heard and really became a cult favourite from the film Clerks. How was it working with a legend like Kevin Smith?? Clerks was cool ….we just got lucky with that. Our manager at the time, Michael Lustig was also managing Smashing Pumpkins and had some friends at Sony, and one day he called us and said Kevin Smith wanted to put our Chewy song in his movie and we were like cool go for it. We went to the Clerks movie premiere in our space suits and brought our space van (a 1967 Ford Econoline highly modified for space flight! – bubble roof, Cessna nose cone, drag boat headers, and a Beachcraft tail wing) , but we did not meet him. 5) Could we hear some of your new music in the upcoming Clerks 3 movie?? None of it is ‘Nova. 6) Have you written any other songs about any other Star Wars Characters?? Not that we can think of, just doing character voices between songs on early indie releases like Han Solo, Jabba the Hut, etc., plus any other retro cool space stuff like Kazoo- the little Martian from the Flintstones cartoon. 7. Do you have any random Star Wars stories that came about because of the song?? Well, when M-TV decided to finally give Chewy a Life Time Achievement Award, they contact us about licensing our Chewy song for that segment of the show and it was pretty cool to hear Chewy played when he got his award on the show. Then, when Lucas decided to do a Star Wars movie box set, they decided it would be cool to include a bonus CD of all things Star Wars for fans and so they contacted us about including the Chewy track on the bonus CD. We were stoked to be working with official Lucas crew on that and having our Chewy song rest nicely inside an officially sanctioned Star Wars box set. 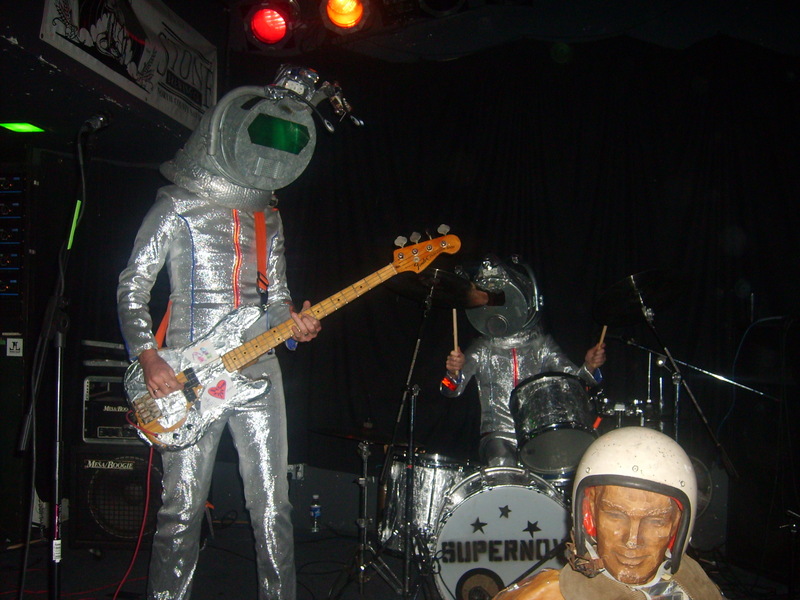 8) What’s next for Supernova?? God only knows! Maybe the new Star Wars movie will be at renaissance for Supernova! 9) Are you excited for Star Wars VII?? For sure! We are always excited about new Star Wars! 10) Finish this sentence “in a galaxy far far away…..A Supreme Being sent his only begotten Son so that all who believe in Him might not perish, but eternal life. . . .